Micromax Canvas Laptab specifications are fantastic and bundled with Latest Windows 8.1 operating system support. Its also upgradable to the Windows 10 when its available. Laptab housed with powerful Intel processor and battery life. If you are the mobility lover and specifically the smaller gadgets are your choice then Micromax Laptab is perfect for you. You can easily turn your tablet into the Laptop by detachable keyboard. As per the news announced by Micromax #MicromaxCanvasLaptab available via the Amazon India from 6th May. 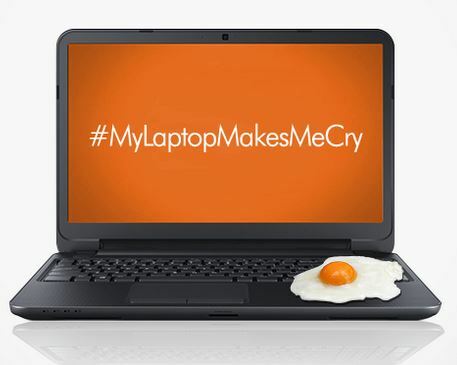 Device gone viral on the internet by the Tags #‎MyLaptopMakesMeCry‬, #‎MicromaxCanvasLaptab‬, and #‎SmartestLaptopEver‬. Stay tuned to the site to get more updates.